NYC Network Security Solutions for Businesses | New York : Consolidated Technologies, Inc. In the sea of security technologies, CTI empowers you to navigate uncharted waters safely with smart firewall and filtering solutions that safeguard your perimeter. Beyond firewall, we also bulletproof your systems to prevent your business from becoming a victim of toll fraud while still allowing your employees to access remotely with ease. 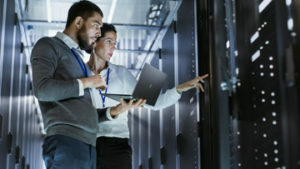 Secure your entire network, satellite offices and the traffic that runs through it with leading network security for businesses from New York’s Consolidated Technologies, Inc. Regardless of company size, you need a robust solution that can look across architecture and applications to keep your operations safe. 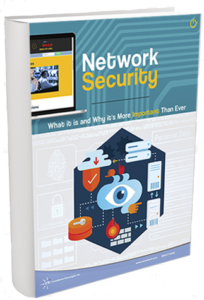 Network security is no longer the realm of just your IT team. Every business operation, every product and every customer service interaction utilizes your network. 100% of your network should be safe or else you put your customers at risk. We partner with top companies in the security space, including Skout Secure Intelligence, to provide you with a tailored security strategy to fit your business needs. And each day, your network becomes more complex with new devices and connections. Protect it with network security specifically for businesses in New York and the rest of the U.S. Join us as we prepare for the next generation of threats and protections. It all begins with a Network Vulnerability Assessment. Regular, consistent vulnerability scanning of your network is the simplest way to identify weaknesses and opportunities. Our New York based security team provides business throughout the tri-state area services that are designed to root out threats before any malicious actor can harm your system or interrupt your service delivery. Network vulnerability testing services from CTI are the perfect complement to monitoring and security reporting. New York network security solutions from CTI are designed to help you understand the risks in your network and develop a plan to shore up any weaknesses. From understanding vulnerability and detecting threats to proactively safeguarding your network, Security Reporting services enable you to understand when you face threats, how to resolve them and what steps you can take so they never happen again. Whether it’s for your industry certifications or to meet state and federal regulations, compliance is mission-critical. Allow CTI to assist you with network security for New York businesses. We can help you protect your operations to meet safety and security compliance standards as well as help provide assessments that some regulations require. Protect your business and customer data to meet requirements and protect your business from costly breaches and data theft. If exploitable locations exist on your network, we’ll work to find them before anyone else can. Plus, we’ll work to solve them. Penetration testing services from Consolidated Technologies, Inc. enables you to determine and intelligently adapt to vulnerabilities or concerns so you can avoid downtime that hurts your bottom line. Pen-tests are commonly becoming a requirement when regulations are updated, so you can also protect your revenues from fines. Protect yourself by identifying problems right away, keeping customer information secure and limiting any potential role in data loss. As a leading managed security service provider in New York, Consolidated Technologies, Inc. can offer extensive security and 24/7 protection for your network, clients, applications and much more. With a managed security operations center, we’ll monitor your network and keep an eye out for threats, automate alerts and information delivery, look for harm in traffic and review endpoints for any unauthorized activity. From mid-sized businesses to large enterprises, CTI works with any company that needs assistance solving security and compliance challenges. Get the resources and support your network and your applications need to grow, scale and improve your daily operations. ADVANCED THREAT PROTECTION It takes more than ANTIVIRUS. 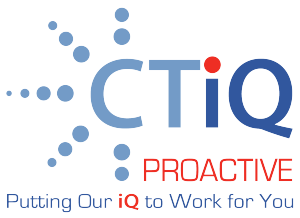 Where many technology solution providers focus their attention only on perimeter security, CTI also understands how to optimize your security for voice technology and traffic. CTI optimizes the same protocols used by payment processors for voice so they don’t require a lot of time, memory or processing. When you want to transmit trusted data across the Internet, we can encrypt and authenticate using VPN or TLS to ensure authentication for public transport and lock down access to unauthorized users. We build layers of protection and fences with session border control that understand real time protocol and can send traffic only to call center and not other trusted resources. Contact CTI today to discuss a security solution that keeps you safe from toll fraud and perimeter attacks without slowing you down or frustrating employees and customers.